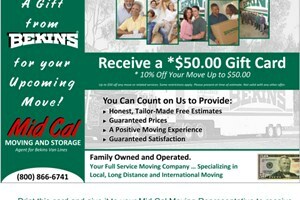 Mid Cal is a premier Central California international moving company. Our long-time partnership with Bekins Van Lines give us the resources and support we need to safely and efficiently move virtually any client -- residential or commercial -- to over 100 countries around the world. Our BBB-accredited international movers are diligent and hardworking professionals who have a solid understanding of the processes and procedures associated with overseas moving. Mid Cal also has membership with ProMover and the American Moving & Storage Association, so you can rest assured knowing that your belongings are in the care of well-trained moving specialist who are held to the industry's highest standards. For more information on Mid Cal Moving & Storage and the comprehensive international moving services we offer, call us today or fill out the Quick Quote form above for your no obligation estimate.